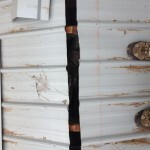 Full Exclusion Work: The process of sealing a structure so that animals cannot enter. 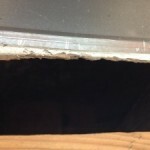 Once an animal has been trapped and removed from your home, performing the exclusion work is the next step to ensure the animal doesn’t return. 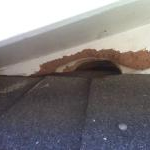 This process involves extensively checking the entire home for entry points such as holes, cracks, vents and construction/builder’s gaps and then sealing those areas so that no animals can ever re-enter. 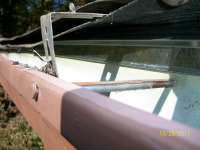 The construction/builder’s gap is a gap intentionally left by the builder between the roof decking and fascia board. 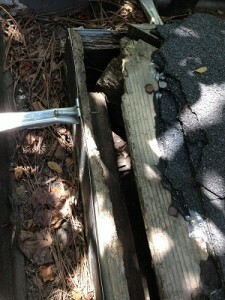 To the right is a picture of a typical construction/builder’s gap. 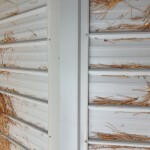 Below are some examples of various entry points created by nuisance animals. 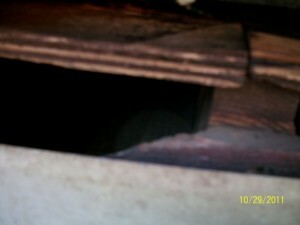 The first is a hole that leads into the attic of a house. 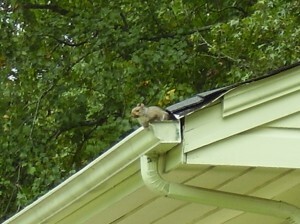 It was chewed by a squirrel on the roof. 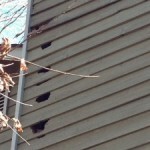 The second two pictures our examples of holes made by racoons in the construction gap of a home. 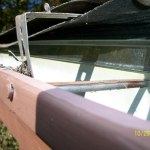 In order to prevent animals from entering through these gaps, Georgia P.A.W.S uses the highest quality galvanized metal flashing to seal up each entry point area. 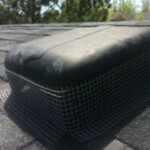 This prevents rodents, squirrels, racoons or any other nuisance animal from chewing into the structure. 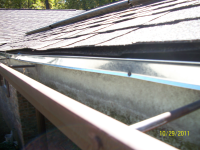 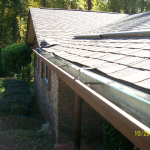 Below are a few pictures of the galvanized drip edge that is used to seal the roof line of a house in Atlanta. 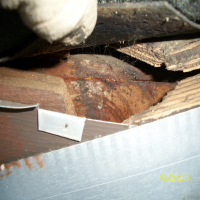 To ensure that no animals are sealed inside the structure, our technicians leave one entry point unsealed. 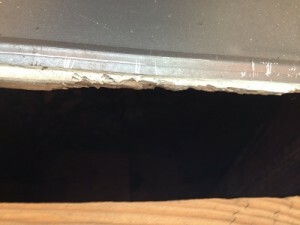 An excluder trap is set over this hole so that any animals still inside the structure can safely make their way out. 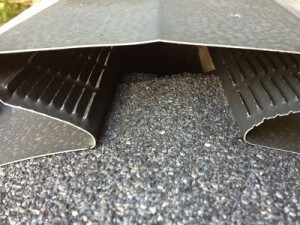 The excluder trap is a multi-catch live trap that allows animals to enter it through a one-way door. 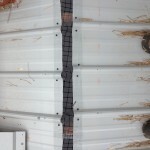 The animals are held inside the trap preventing them from going back into the structure. 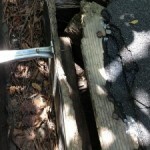 The traps are checked daily and any animals trapped are released (unharmed) back to their natural environment. Once we are sure there are no longer any animals inside the structure, we remove the trap and seal up the last hole. 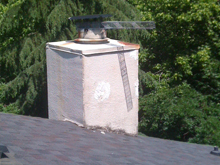 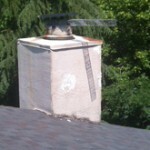 You can see an example of an excluder trap placed over the chimney cap of a home in Atlanta in the picture to the right. 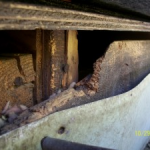 It is typical for bats to enter the attic area of a structure through dryer vents, exhaust vents or gable vents. 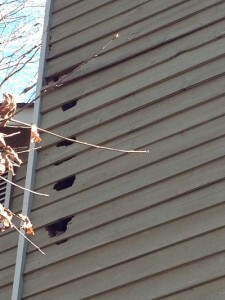 Squirrels, flying squirrels, and racoons enter by chewing holes through the construction/builder’s gap. 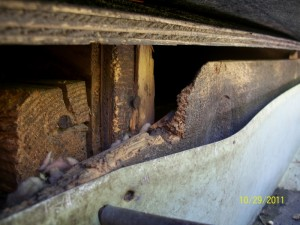 And rodents are known to get into a structure through cracks in the basement foundations. 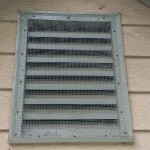 Many of these animals are looking for a safe place to do their breeding. 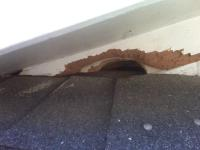 Once the animal has made its way into the structure, it can cause significant damage to walls, wiring or insulation; not to mention diseases that can be associated with many of their feces.Whether the animal is in an attic, the basement or in the crawl space, Georgia P.A.W.S will properly remove the nuisance and seal all entry point areas. 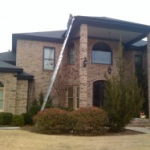 In fact, we are so confident in our ability to seal your home, we proudly offer a Lifetime Guarantee on all of our full exclusion work. 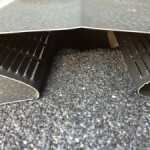 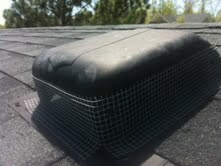 Below is a picture of a ridge vent that is open; yet another way that animals can enter your home. 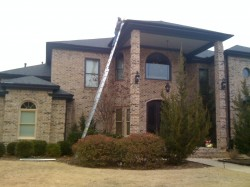 The following two pictures are of our work. 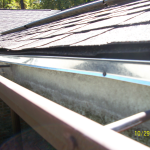 The first one shows how we first screen the vent. 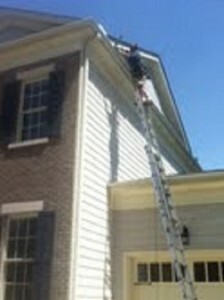 Then next shows how the area is sealed and the home is left looking very good-not to mention animal proof! 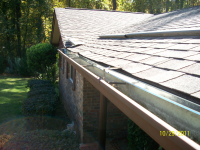 The final two pictures are of a different roof. 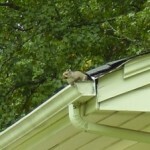 Same outcome-animal proof! 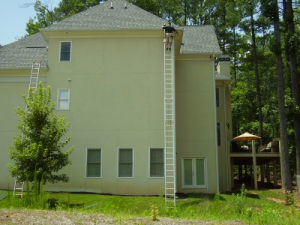 Contact the professionals at Georgia P.A.W.S. 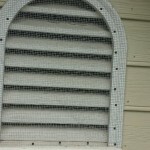 now!! 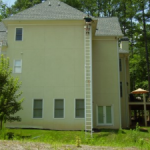 Call 678-313-3781 or 706-207-7278. 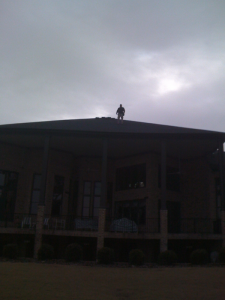 Want to see our technicians in action. 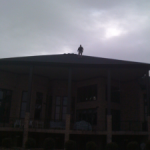 Check out the pictures below of several (very high up) full exclusion jobs.